OBOPAY, the global financial technology company providing enterprise solutions for Telcos, BFSIs and companies with a dominant supply chain focus, today announced that the company has launched a distribution management system, an end to end state of the art SaaS solution for the entire distribution channel of an organization. The distribution management system has been deployed for large Distribution / FMCG companies along with some mid-scale firms such as Manna Health Foods in Chennai, Agronic Food Inc in Mumbai, Brownie Cottage in Mumbai, Pee Safe in Delhi, Unicharm India Pvt. Ltd. and EcoBrisk in Kolkata. The distribution management system which offers the convenience of being hosted on cloud will enable the distributor to manage his entire supply chain hierarchy through his individual DMS portal and the companies to access all the reports through the portal. Using the DMS, the distributor teams will be able to manage end-to-end visibility of the cash flow along with a well-managed trade scheme. The retailers and distribution sales representatives will conduct business through the DMS apps. Multiple benefits of the DMS include better returns for the distributors and retailers, reduction of distribution leakages, ease in handling returns and refunds for distributors, etc. The newly launched DMS is uniquely poised to give the facility of instant payments through multiple modes including cash, cheque or digital money, thereby reducing the cash cycles. 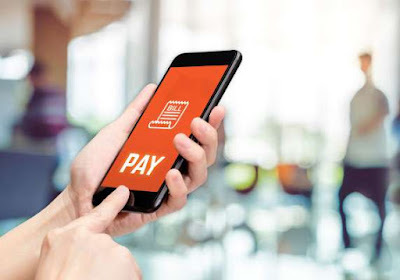 OBOPAY will handle the installation, mapping of DMS along with payment setup, product and price management for the companies. Instead of waiting till the end of the day or for the DSR to finish his beat, the distributors have the visibility to money being collected instantly.